The Leadership Insider network is an online community where the most thoughtful and influential people in business contribute answers to timely questions about careers and leadership. 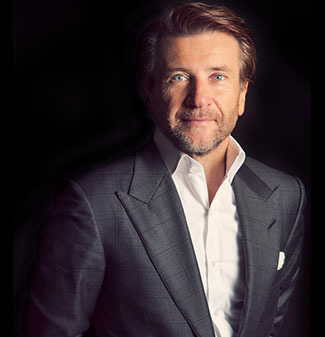 Today’s answer to the question “What’s the most important lesson you’ve learned in your career?” is by Robert Herjavec, founder of Herjavec Group. For ambitious people, success is a mere moment in time that is achieved, celebrated, and then fades into the background to leave room for the next big achievement. On the other hand, failure or the risk of failure, is a full-time companion. Although, it is something that we constantly try to avoid or at least reduce our encounters with. However, it’s not practical to think that we will float through our careers without coming face–to–face with failure at some point or another. But, not all failures are disasters. I like to use the analogy of being in front of a hot stove. I look down, see the red rings signaling heat on the burner and I put my hand down and touch the rings because I just have to know how hot it is. After screaming in pain, I think to myself, “Man, I’ll never do that again”. It is what we do after these encounters with failure (or pain!) that make us better business people and hungry for success. It’s easy to say, that with each failure there is a lesson to be learned, but what I have realized is it’s most important to understand how the lesson will improve you. It’s easy for us to look back at a situation and play the blame game: procedures weren’t followed, the client didn’t see things properly, or the market was not ready for the product. These are superficial answers and making these excuses will not help you get to the bottom of the situation. At the end of the day you put your hand down — you touched the burner — what will you do differently next time? Take out the emotion: To count something as a failure, it must have been something that really mattered to you. Clear your head and critically review the facts, ideas, suggestions, and objectives. Ask the right questions: Look beyond the immediate situation and ask yourself how this fits into the larger picture of your strategy. Does it align with your ideals? Will it feed into your company goals? Take ownership: Face every situation with confidence, knowing that it may not always go as you predict. Just as you shouldn’t let success blow your self-image out of proportion, don’t let a failure weaken it. Don’t dwell: Failures that don’t sink your business or cost you money are blessings and will push you harder. Don’t be intimidated by these moments because they will help you grow as a business leader.